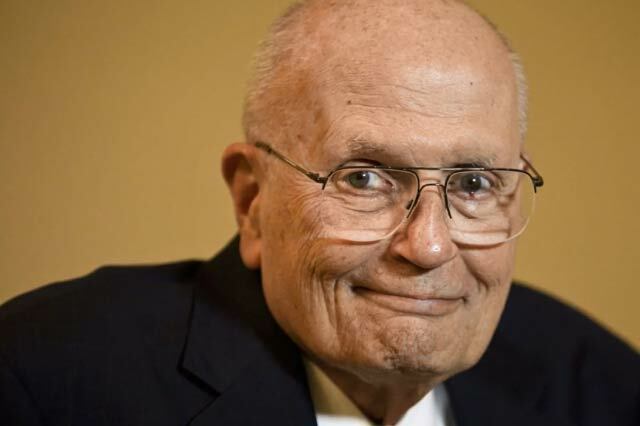 We at the Michigan Fitness Foundation and the Governor’s Council on Physical Fitness, Health and Sports are saddened by the loss of former U.S. Representative John Dingell who passed away on February 7, 2019. Dingell was a friend and longtime ally in the pursuit of creating a healthier Michigan. His 59-year tenure as a representative is the longest in U.S. history. He was one of the final two World War II veterans to serve in the U.S. Congress. Early in life, Dingell worked as a park ranger, protecting wildlife and natural resources. Taking office in 1955, he worked tirelessly for veterans, for environmental issues, and for a wide variety of healthcare causes. Dingell oversaw the passage of both Medicare and Medicaid. In addition to these sweeping initiatives, he was involved in a wide variety of other healthcare reforms touching everything from pacemakers to clean air and water to safety protocols at blood banks. His colleagues called him “Big John” or, occasionally, “Big Truck” owing to his close relationship with the auto industry. He was awarded the Presidential Medal of Freedom in 2014. Since 2007, we at the Michigan Fitness Foundation and the Governor’s Council have recognized individuals who have inspired, advocated, or contributed to healthy eating, physical activity, and improved wellness for Michiganders with the Governor’s Fitness Awards (GFAs). Among the awards is the Vern Seefeldt Lifetime Achievement award which recognizes individuals who have long fought for the cause of health and who leave behind a legacy of a heathier Michigan. We were proud to present this award to John Dingell in 2015. That same year, we renamed another GFA in Dingell’s honor. The award that recognizes elected officials was renamed to be the John Dingell Outstanding Public Official award.